David M. Horst is the Minister at the Central Unitarian Church, where he has served since August 2013. 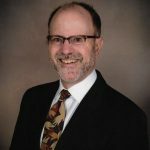 David has nearly 40 years of experience in congregational and transitional ministry, organizing and advocacy, arts administration, community service, pastoral care, advertising and public relations, and event management. He holds a Master of Divinity degree from the Harvard Divinity School and entered into the ordained ministry upon graduation in 1999, serving four Unitarian Universalist congregations in Massachusetts before relocating with his family to New Jersey. He currently serves on the Bergen County Human Services Advisory Council, the Bergen County Interfaith Brotherhood/Sisterho0d Committee, and the Unitarian Universalist Legislative Ministry of New Jersey. David and his spouse, Alyson Gaylord-Loy, are the parents of two teenage children, Domnica and Darly. Domnica is a 10th grade student at the River Dell High School, and Darly is a 6th grade class at the Green Meadow Waldorf School. Both children attend Sunday School at Central Unitarian. The Horst-Loy family lives in Oradell in the church parsonage with their beloved greyhound Winston. David is the father of two children from a previous marriage, Rachel Klein, who lives in Utah, and Katie Coady, who lives in Maine with her husband Tom. David can be reached at revhorst@cucparamus.org or 201-262-6300, ext. 2. David’s office hours are Tuesday through Friday from 9 a.m. to 2 p.m. with a break for lunch. Lynn Sodora is Director of Religious Education (DRE). 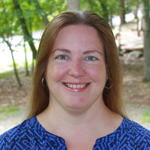 She brings to CUC 13 years of experience as DRE to the Unitarian Universalist Fellowship of Sussex County in Newton. She also has 14 years of experience as an educational assistant for children with special needs in both public and private schools. Lynn holds a B.S. in Economics and Finance from Fairleigh Dickinson University. Prior to entering the field of education, she was a paralegal for more than 10 years and has found the organizational and planning skills she acquired in that field to be quite useful in her vocation as a Unitarian Universalist religious educator. A native of Bergen County, Lynn is an avid reader and book collector and enjoys visiting historical sites and museums. In addition to working with children, she is passionate about social justice issues and caring for the environment. Matt Anderson has been Director of Music at Central Unitarian Church since 2008. He holds degrees from Temple University (B.M.) and the University of Cincinnati (M.M.). Matt is a professional musician, educator and composer. To hear original music Matt has written for services at Central Unitarian Church visit his YouTube channel at Matt Anderson Original Music. He can be reached at manderson@cucparamus.org. Robert René Galván is a conductor and educator with a long list of credits and associations from all over North America, ranging from small churches to the highest echelons of music. He is equally at home in orchestral, choral, operatic repertoire and musical theater, and is known for his extraordinary professionalism, precise communication and directing skills. In addition to Central Unitarian Church, Maestro Galván is Conductor of the Bronx Concert Singers, Peace of Heart Choir and Manhattan Sinfonia in New York City. He currently serves as Professor of Conducting at the Long Island Conservatory of Music. He was also Music Director of Highbridge Voices Youth Chorus, and Professor of Conducting & Choral Studies at the Brooklyn-Queens Conservatory of Music where he trained young conductors and directed the conservatory chorale. He was guest conductor of Florilegium Chamber Choir in Manhattan and Cappella Festiva in upstate New York. For four seasons he was conductor of the Springfield Symphony Chorus in Massachusetts. 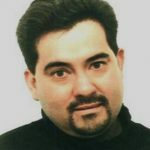 In Texas, Galván held positions as conductor of the Austin Philharmonic, Associate Conductor of the Austin Choral Union, and as director of both the University Chorus and the Longhorn Singers at the University of Texas. He is married to the playwright Holly Hepp and has a daughter, Gina. He can be reached at rgalvan@cucparamus.org.